For this card I used the free digi stamps that came with the magazine. They are really beautiful floral designs and they have so much detail. The papers were from my stash. I mounted them onto red card then added ribbon and card candi. 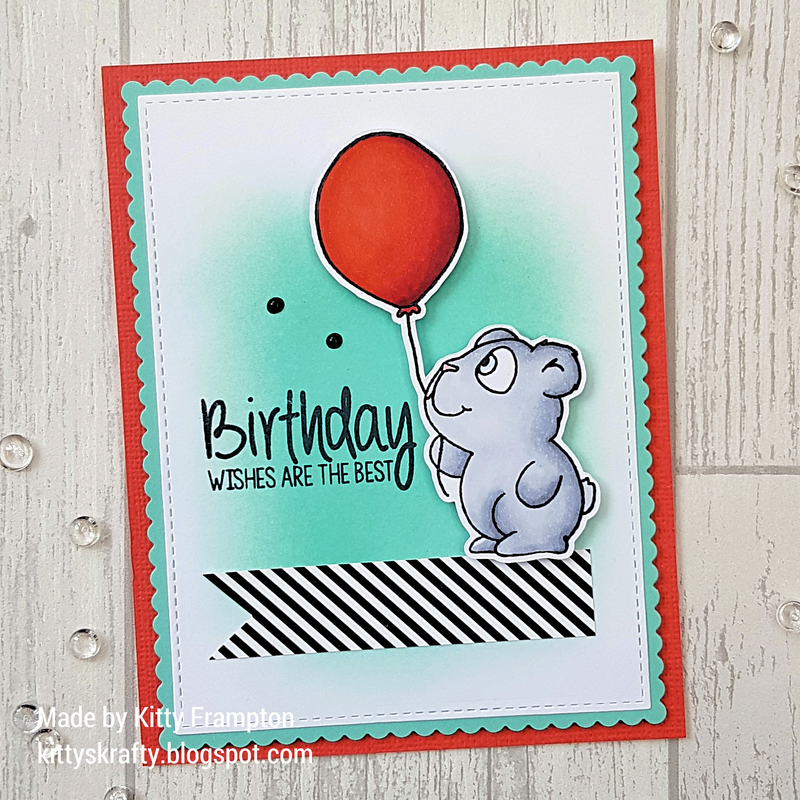 For this card I used Lovely Panda's by Gerda Steiner Stamps. I coloured him in bear colours to make it a bit different. I used my Copic Pens and cut him out. I created a simple blended background patch with distress oxide inks. I stamped a Your Next Stamp sentiment onto it. I die cut the panel, mounted onto a scallop panel and attached onto a red covered card. I added a fishtail piece of striped paper and Nuvo Drops to finish. We have been enjoying the lovely sunshine the last few days so apologies for not posting much! The school holidays are nearly over so it will be back to normal routine for us all soon. 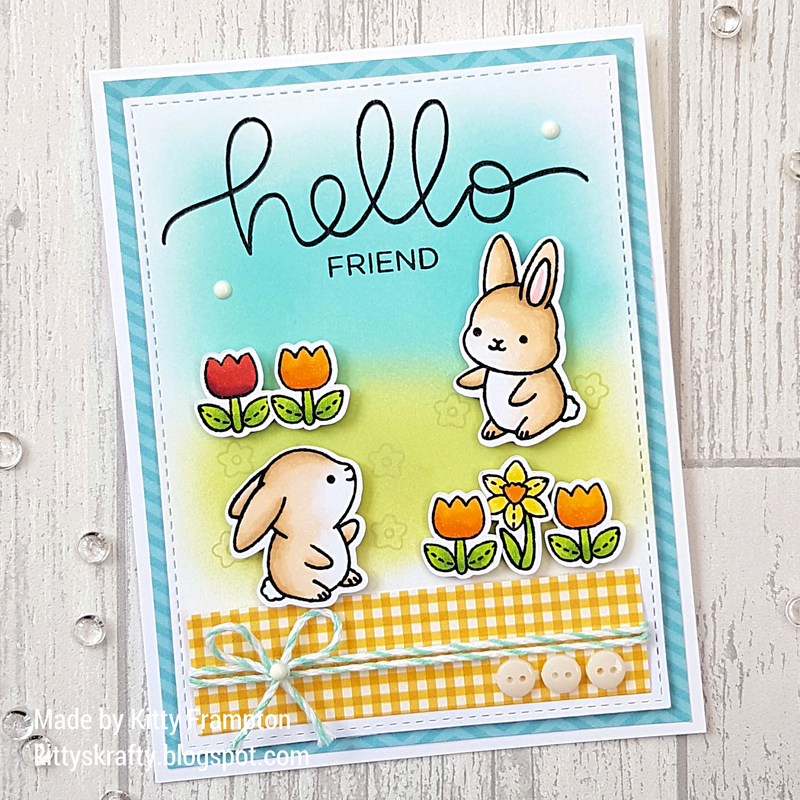 Today's card features my favourite animals...bunnies! 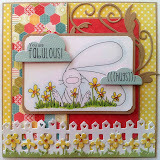 For this card I used the Chubby Bunnies Stamp Set by Sunny Studio Stamps. I coloured them with Copics and cut them out. I created a subtle blended the background using Distress Oxide Inks. 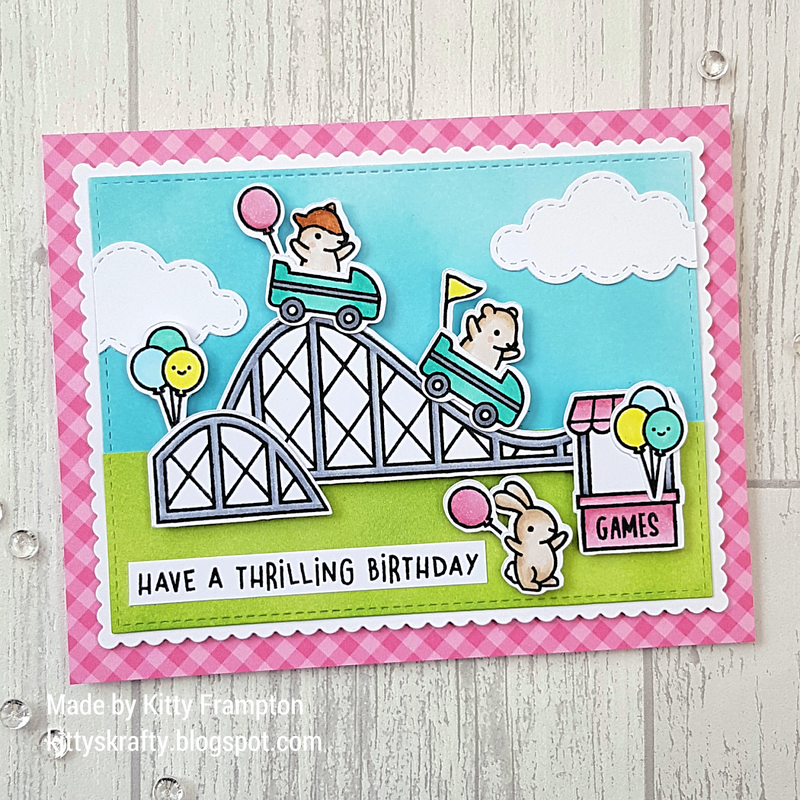 The sentiment is by Hello Bluebird Stamps. I added a strip of paper, twine and buttons then finished with some Nuvo Drops. How cute are these little critters?! I love them! These are Lawn Fawn Stamps called Coaster Critters. I coloured them with Copic Markers and cut them out. 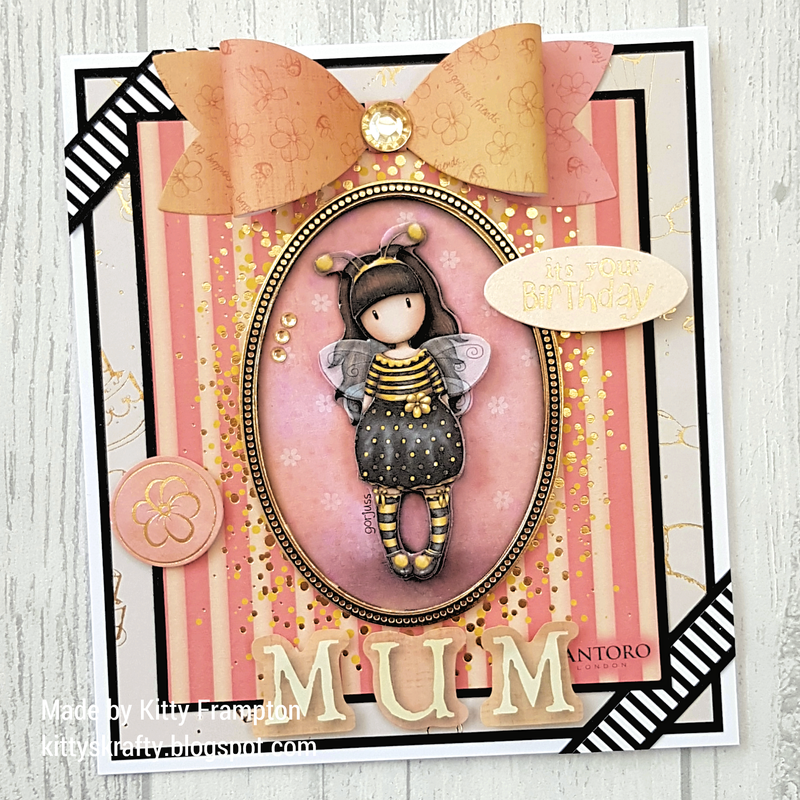 I created the background using Distress Oxide Inks and added some MFT Die-namics Stitched Clouds. I die cut the background panel using a stitched rectangle die and mounted it onto a scallop rectangle die. I used some Sunny Studio Papers for the background. 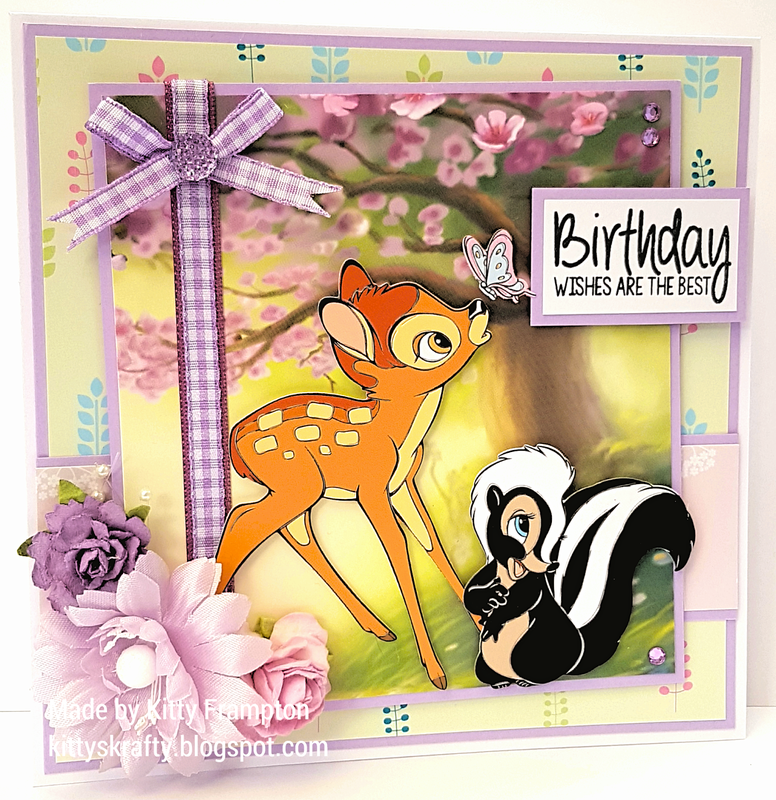 For this card I used the Disney Bambi Collection Dies & Colourful Creations Pad. 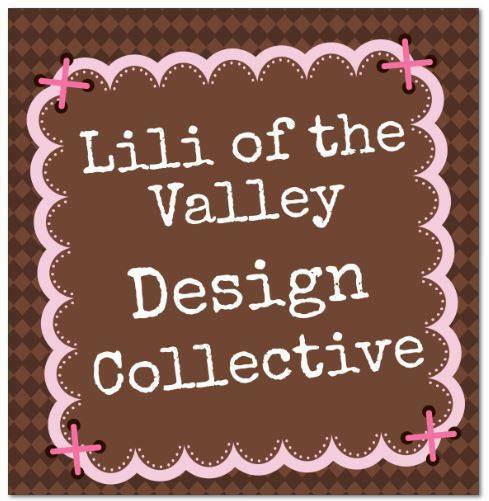 I used the coordinating A4 Paper Kit for the background papers and the Backing Pad scenes for the background image. I added a stamped image (Your Next Stamp), some ribbon, flowers and gems to finish. For this card I used the Die Cut & Paper Pack. 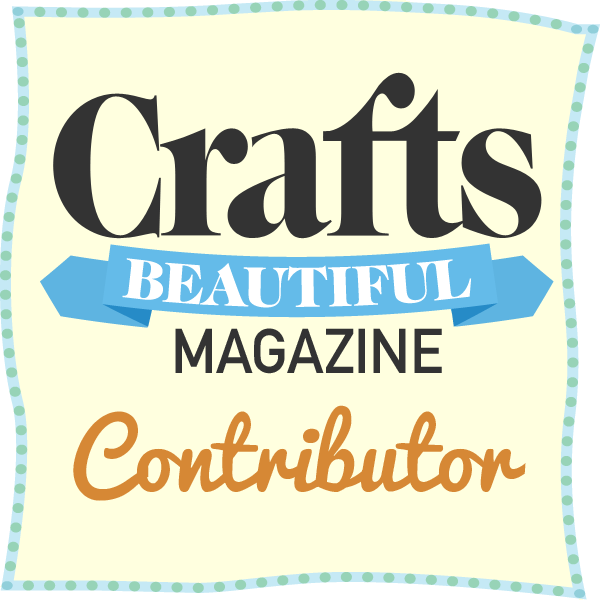 It's full of die cut decoupage, toppers and coordinating papers. I always get this one as it's such good value. I mounted everything on black card and added some striped paper too. I added some gems and a sentiment and ta do all done. 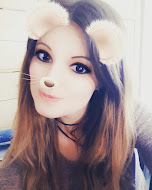 I will be back soon with more creations. 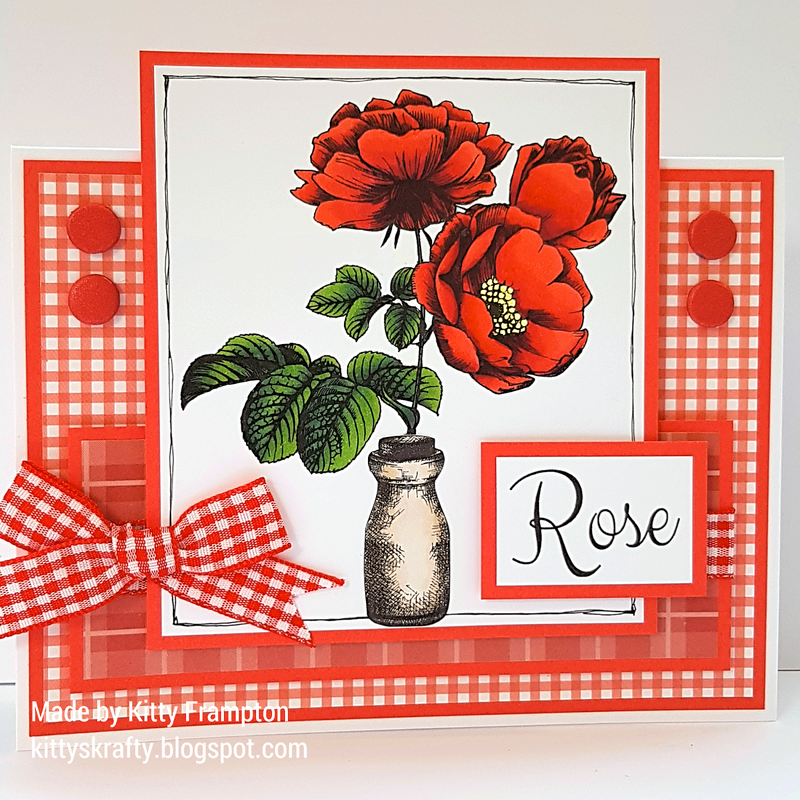 For this card I used Waffle Flower Tumble On Stamp Set. I coloured them with Copics and cut them out. I created the background with Picked Raspberry Distress Inks. I heat embossed the sentiment in white on black card. I added a strip of striped paper for a bit of contrast. I added a couple of Nuvo Drops to finish.